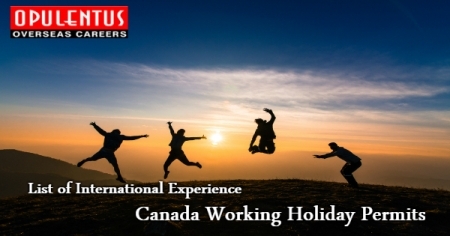 The latest information regarding the country and pool in International Experience Canada Working Holiday program for the year 2018 is available presently. Interested Applicants have to create a profile, and wait for their invitation to apply seeking the work permit. The candidates receive it in the invitation rounds that take place regularly as per the IRCC. We present the latest data regarding the number of candidates in the pool, and also the chances of selection of candidates in receiving the invitation to apply for the next round. There is a weekly update of this data guide, mostly on a Monday. In case there are candidates on the IEC work permit who intend to remain in Canada, they have an opportunity to learn the method and the time when they can avail the benefit from this status. In IEC countries and pools, at present 4,410 places remain unfilled for this season. In the last two weeks less number of invitations was sent out. Moreover, there was a decrease in the number of free spots. There are unlimited free spots in Australia, and Ireland has 2,632. In Japan it is 725, followed by New Zealand 538, and Sweden 134. The numbers for the French pools need some corrections. Candidates who Apply in the International Co-op category have an excellent chance to receive the invitation irrespective of the country of citizenship. Finally, this update presents the latest figures in all IEC pools and reproduces changes from July 16th.